Corruption and Progress – Anubhav Tiakaba Kar, BA 1st Semester English Hons. The past few weeks have been very eventful. We have had the State budget being presented and many issues arising out of taxation, apart from the usual twists and turns related to the political situation in our State and India as a whole. All these exercises seem to be geared towards one purpose and that is to make things better and bring about development. However, development can be easily hampered by many factors, one of which is corruption. Two brief write-ups submitted during “Renaissance Clique” – the bi-annual fest of the English Department, Tetso College are this week’s thoughts on the topic “Corruption is the Enemy of Development and Progress”. Winning essay by Anubhav Tiakaba Kar, BA 1stSemester English Hons. Corruption occurs when a person or a group does something to benefit themselves, and in the process, they affect others in a negative and harmful way. Corruption is no strange phenomenon in the 21st century. It is a major problem that is being faced by our society today. People are cheated in various ways. Corruption is like a cancer in today’s world, and its growth can be attributed to the fact that there is no strong opposition that can tackle corruption or the corrupt. A study of any sphere of our life will show us that corruption has a major influence, be it the Central Government, or even our election system. In Nagaland, corruption is drastically visible. The condition of roads in our state is horrible, and it is due to the officials who are responsible for the maintenance work. Since they are corrupt, we have broken roads with potholes to add to the misery of travelers. Talking about the many schools in rural sectors of the state, we have badly maintained classrooms with teachers who do not show much interest in teaching. A lot of these schools do not even conduct regular classes. The teachers appointed by the state get their salaries by doing half the work they are supposed to do. As a result, the students suffer immensely. These forms of corruption affect people in different ways. Development in the state is extremely slow because of corruption that occurs at various levels of the government. 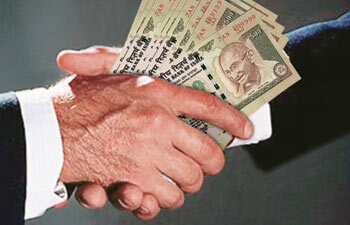 In the national level as well, corruption is a very common phenomenon. Every morning in the newspaper we find news stories about corruption. One of main reasons for so much corruption is that in today’s world everyone wants money but not all want to work hard for it. They seek shortcuts to earn money easily. Another reason for corruption is that most of the time, the people who are investigating cases of corruption are corrupt themselves. The corrupt are rarely punished. Thus, the level of corruption is increasing day by and is a major drawback for the progress and development of the country and its people. Everyone in the society needs to stand up against corruption. Our country itself is so corrupt, where the people in power are concerned about their own financial gains. Every now and then we hear people grumbling and complaining about corruption and corrupt officials. But is any action taken? Until and unless stricter anti-corruption laws are implemented and put into force, corruption will not stop. The officials must try and see beyond money. The government cannot function well until its people are honest. As long as corruption continues, there will always be a vast difference between the rich and the poor. The rich will continue to grow wealthy, while the poor will continue to lose money. We have the right to choose between good and bad. So we should always do the right thing and make the right decision because it will affect us one way or another. It is the progress and development of our state that is being affected due to corruption. Thus, we should all take a stand. Together we can stop corruption. It will not happen in a day. But as little drops of water make an ocean, so also we should give our best and do what we can to stop corruption for not only our own self, but also for our society, state, nation, to improve and develop the world we live in. Man is a social animal. He lives in a society, a society that might be developed or underdeveloped, educated or uneducated. Whatever be the case, politics tends to play a major role in society. The public chooses its own leaders with the hope for progress and development, but many times the result is just the opposite. The people in power tend to work for their own benefit and prosperity. They make personal upliftment their main motive, and this paves the way for corruption to seep into society. In the present world, ‘corruption’ is a word we hear every day. Weak leaders with no interest in the development of the public bring about corruption. We know that Nagaland’s state budget is projecting a deficit. A main cause for this is the people in various levels of the government’s hierarchy who pocket the money kept aside for development. A good example would be the condition of the National Highway 29 between Dimapur and Kohima. We know that the Government allocates funds for the maintenance of highways across the country. Yet we see that the road is full of potholes. This lack of maintenance is a clear indication of corruption in society. Corruption of this nature is a universal phenomenon, which ultimately results in leaving the people, place, economy, and society underdeveloped. Development and progressiveness of the country is greatly dependent on the leaders. They are the ones who shape a country’s present and future. Where there is no corruption, there is always peace and harmony. Such a place sees development and progress, and enjoys the benefits of being a modern society. A society cannot develop when corruption exists in its veins. A good tree produces good fruit. But if the tree if poisoned, even a good tree cannot produce good fruit. In the same way, a society cannot prosper when there is corruption in its core. Corruption always brings a society down. Corruption and development can never go hand in hand. For a peaceful and harmonious society, corruption must be abolished. Like a mother hen who always rotates her eggs about fifty times a day to make sure that the yolk doesn’t stick to the sides of the shell, so also corruption must be vigilantly checked in all spheres so that it does not interrupt a society’s growth and prosperity. Indeed, corruption is the worst enemy of development and progress.